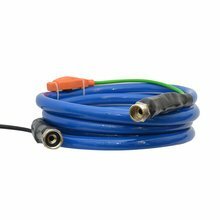 25', 5/8" ID PIRIT Heated Hose. 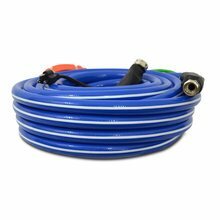 Electrically heated no-freeze water hose. Inner surface made with food-grade PVC materials approved by FDA for potable water. Nickel-plated brass fittings. 180 Watts, 4. 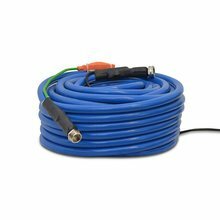 25', 5/8" ID PIRIT Heated Hose. Electrically heated no-freeze water hose. Inner surface made with food-grade PVC materials approved by FDA for potable water. Nickel-plated brass fittings. 180 Watts, 4.5 AMPS, 120 Volts, 60 Hertz.